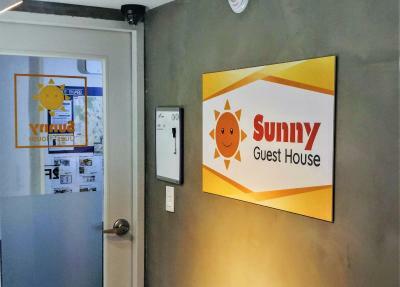 Lock in a great price for Sunny Guesthouse Seoul City - rated 9 by recent guests. The staff and the owner were very nice and kind. The room is clean. We love the breakfast. We enjoyed our stay. 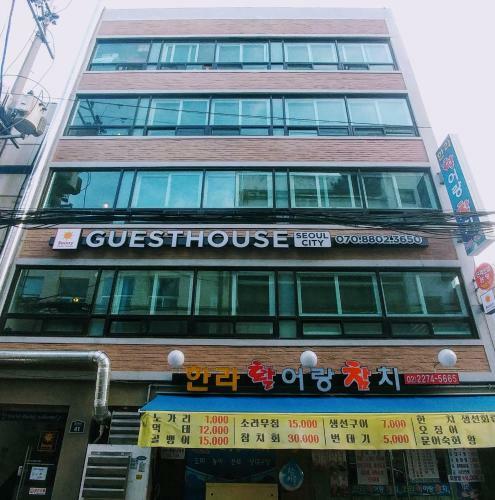 Guesthouse is near the subway station. Good location and good service. It’s easy to find hotel !!! 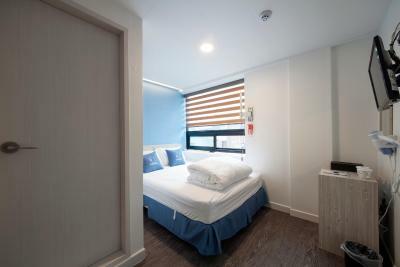 Good location, 100m from train station and 400m walk to Myeongdong market. Breakfast included although basic. Comfortable beds with under bed heating. Sizeable room. Staff kind and accommodating. 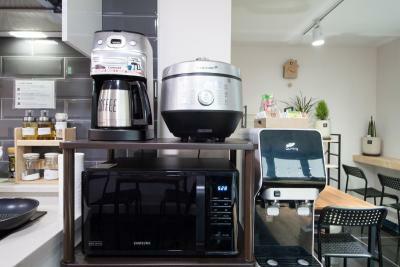 - Location is perfect - right beside metros, 10 min walk To Myeongdong main area. Location alone is a selling point here. It’s perfect. Also you can get the 6015 bus from the airport to very close to the hostel (takes about an hour). 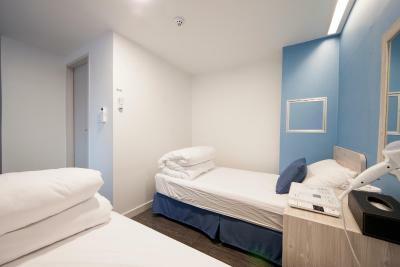 - Room is clean and they provide you with fresh towels and cleaning supplies etc. - provide breakfast - basic toast and cheese and eggs but nice to get aswel. Great value. No frills. Clean and in a great location. Helpful staff, great location and fantastic value for money! Heated beds were luxury during winter nights. We slept comfortably every night! Hotel was right next to Euljiro-3 metro station which made getting around easy. Staff were extremely helpful and friendly. Breakfast was very basic but good (cereal, eggs, bread ect.) Overall our stay was relaxing and lovely. One of our bestsellers in Seoul! 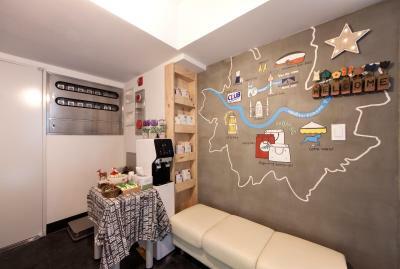 Sunny Guesthouse Seoul City is just a minutes' walk from Euljiro 3-ga Subway Station (Line 2 and 3). 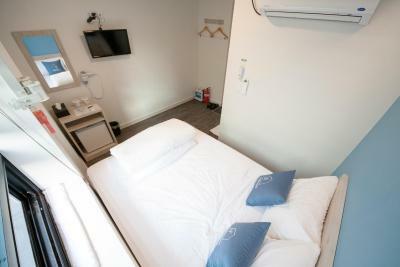 Free WiFi access is available throughout the guest house. 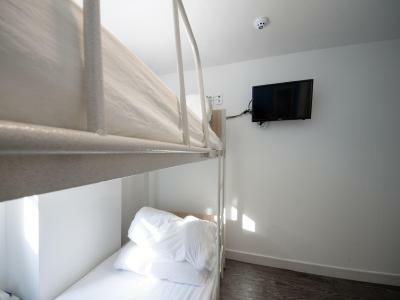 Every room here comes with air conditioning and heating facilities, a fridge and a flat-screen TV with cable channels. 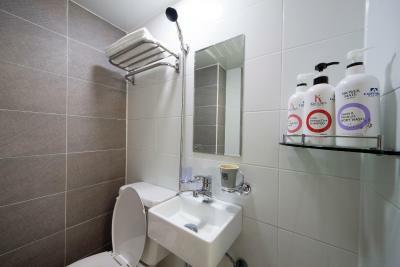 En suite bathroom includes a hairdryer, shower amenities and slippers. 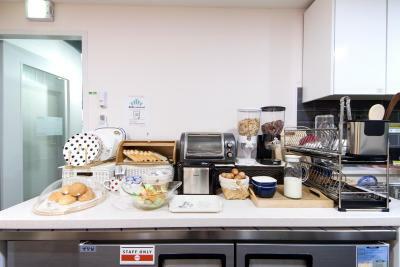 At Sunny Guesthouse Seoul City, there is a shared kitchen where guests can enjoy a continental breakfast. 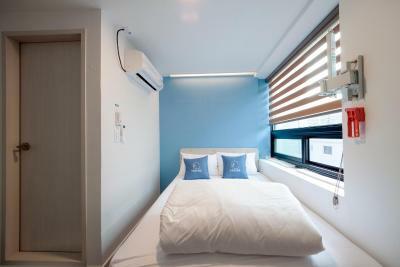 Services such as free luggage storage and concierge service are also offered. 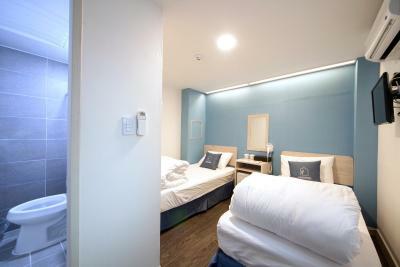 The popular Myeongdong shopping area and Gwangjang Market are both under a 15-minute walk away from the guest house. Incheon International Airport can be reached within 65 minutes by car. 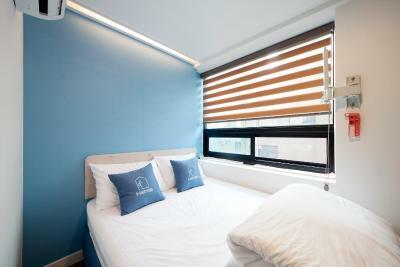 Sunny Guesthouse Seoul City has been welcoming Booking.com guests since 15 Dec 2016. 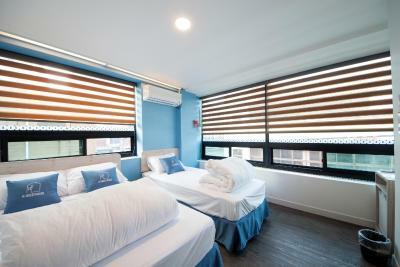 When would you like to stay at Sunny Guesthouse Seoul City? 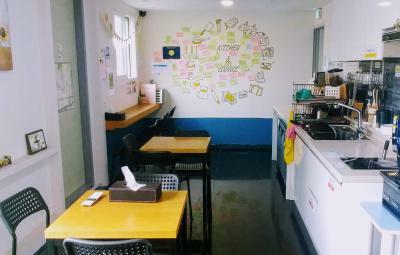 House rules Sunny Guesthouse Seoul City takes special requests - add in the next step! 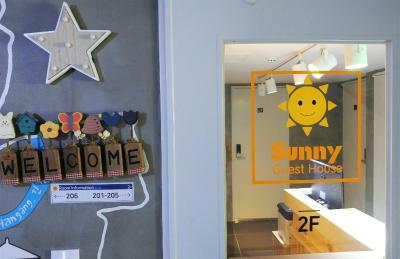 Sunny Guesthouse Seoul City accepts these cards and reserves the right to temporarily hold an amount prior to arrival. 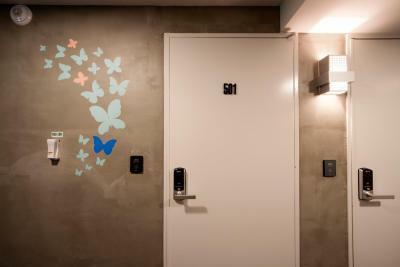 Please inform Sunny Guesthouse Seoul City in advance of your expected arrival time. You can use the Special Requests box when booking, or contact the property directly with the contact details provided in your confirmation. 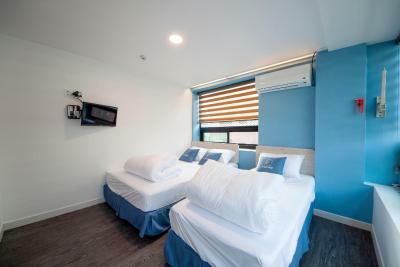 Good location close to metro and good breakfast. No lifts but staff did help with lugging bags. Just a dripping sound at ceiling at night. 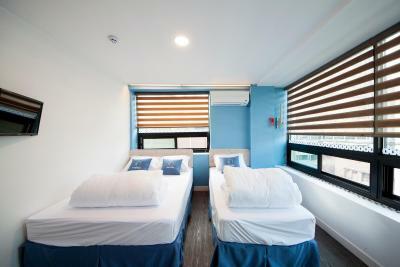 I expected twin beds and got bunk beds. The ladder leading to the upper bunk has rounded metal rungs (like on a ship), making it impossible to climb it barefoot or in socks. It was very awkward getting into the upper bunk. There was only one accessible electrical outlet. Warm staff. Very accommodating. Excellent English. Great coffee and decent breakfast included. 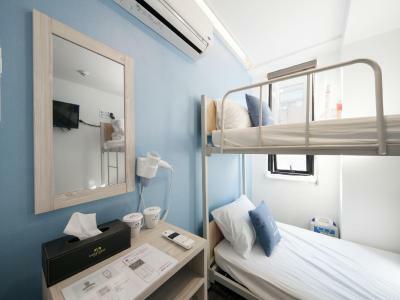 Location perfect, including proximity to the subway. There's no elevator. But it's understandable. In case of emergency, stairs are safer and the way to go down the buulding. 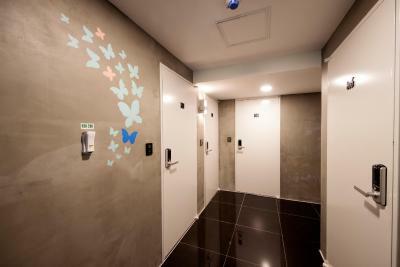 I like how pragmatic the design of the restroom/bathroom is. I don't know if it's the same for all the other guest houses or hotels. 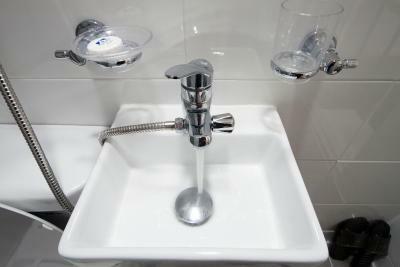 But the fact that the drainage can be used for both the sink and for when taking a bath, I'd say that this is smart and efficient. Nadya was very helpful when we asked her about the airport bus sked. True enough, when we left Friday, the Euljiro 2-ga bus stop did mention that Bus # 6015 will arrive at 0423 KST. 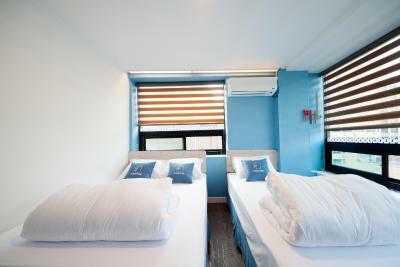 For convenience, the guest house is situated where the bus stop and subways are. We didn't have to walk far to travel to these stops. Taxis are out of the question as they're expensive. Also, I shared a photo of a plug outlet and an adaptor. 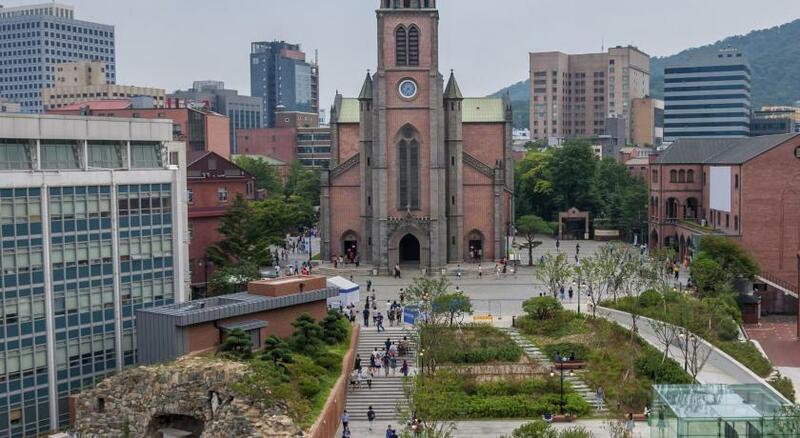 For people new to South Korea, the prongs of their outlets are different as they are deep and round as opposed to the US. If you're from the US, Walmart sells an international adaptor set. For South Korea, use the one labeled "Asia". Otherwise, 7-Eleven or the other convenience stores in Incheon or Gimpo airports (upon arrival) sell them. The room is small. There wasn't a lot of room to put clothes or luggage. 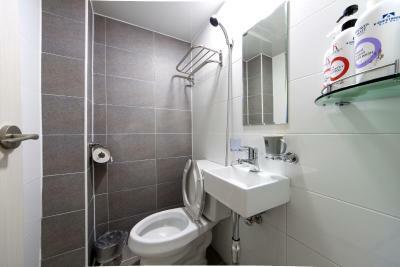 The bathroom is also super small. Maybe this is normal for being in the center. There are a lot of stairs and no lift. 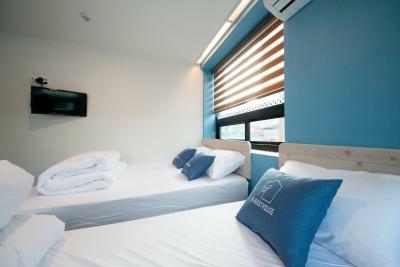 Free cancellation is not really a free cancellation. It has a limited date. 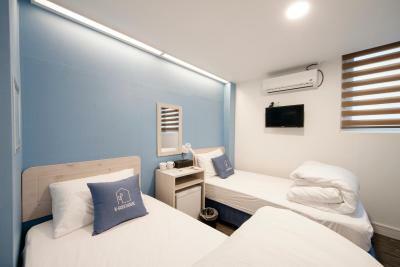 It would be even better if only the first night is lost (charged) because I don't think that they would have any problem selling the rooms. They are in good location and seem to be always busy. We witnessed this. We didn't need/use the first 2 days but it's too late to get those days refunded but they would have sold the room anyway because she wouldn't give me the key. I don't see why not other than planning to re-sell the room. The hosts were very nice. 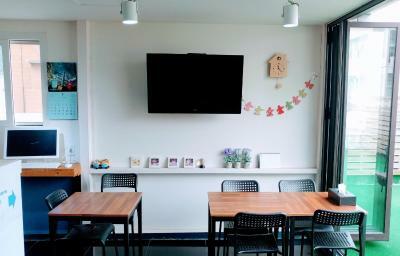 The breakfast room is spacious with a relaxing atmosphere. The location is not too far from the center. The espresso machine is nice perks. It's fairly clean with minor clutters around the small guesthouse. A lot! Staff are really nice and friendly! They are also all very helpful. 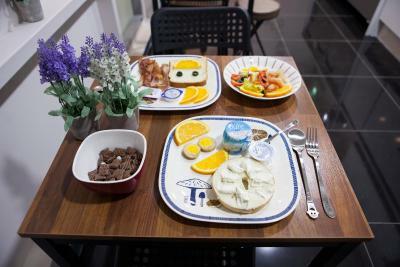 The place is really homey, and they provide bountiful breakfast! I especially love the kitchen! Also, there is a laundry room where you can wash your clothes and they provided the soap and detergent too! 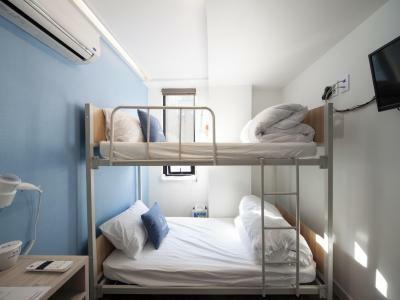 If ever we come back, we would definitely book this hostel again!